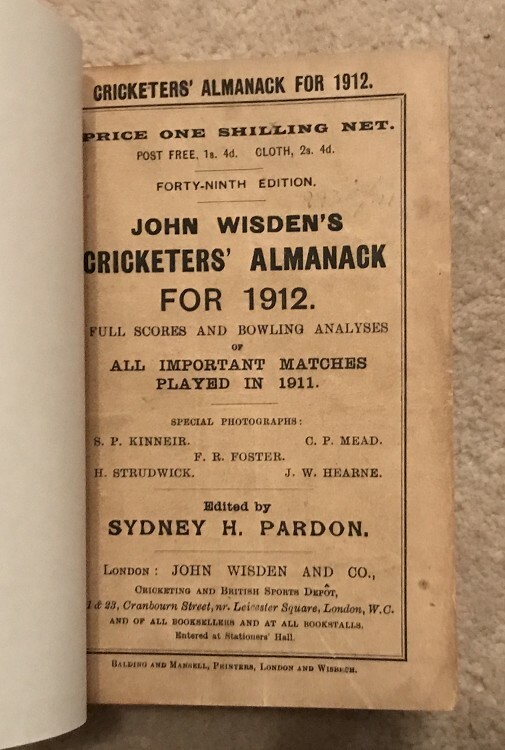 This is a rebound 1901 Wisden , it is rebound with covers. The boards are very well made in what feels like part leather (?) , nice to hold in your hand. Internally very clean and the covers are in good order, a touch marked and the odd line , a bit of thumbing inside if being critical as it is a nice book with a great photplate.